It is important that dog’s paws are kept in good condition, moisturised and free of infection. In the hot summer months surfaces such as asphalt roads, concrete and play areas get very hot. This can cause damage and a great deal of discomfort to your dog’s paws. 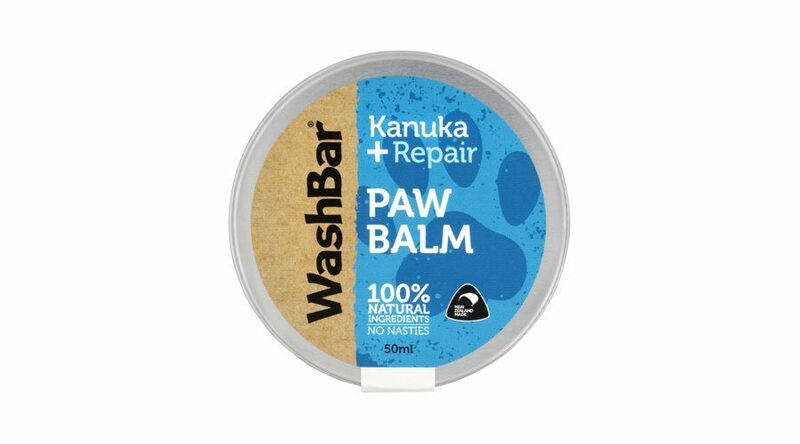 WashBar Paw Balm helps relieve the discomfort, repair the damage, moisturise and nourish the skin. Other extreme weather conditions like snow and ice can be just as damaging to paws as road grit and salt can cause pads to become dry, cracked and ultimately infected. Everyday wear and tear takes its toll. 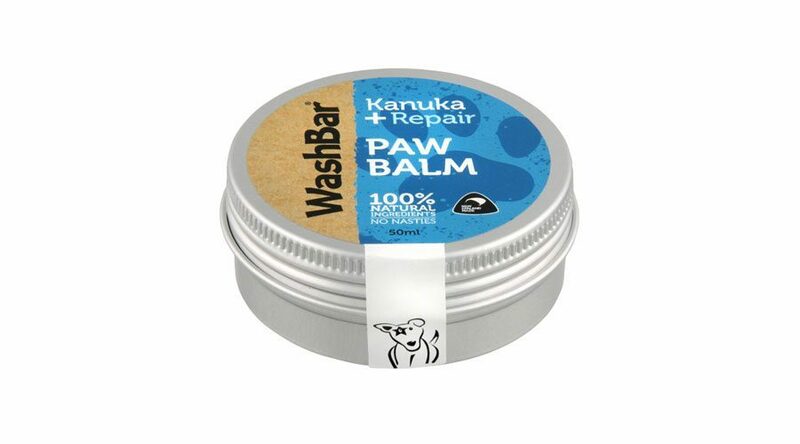 WashBar Paw Balm repairs and restores rough and dry skin on dog’s feet (and other places like their elbows) and helps prevent or relieve infection. 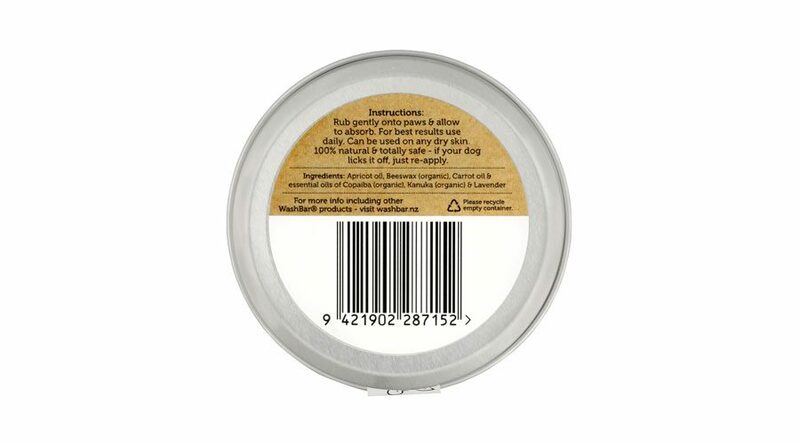 WashBar 100% Natural Paw Balm is special. 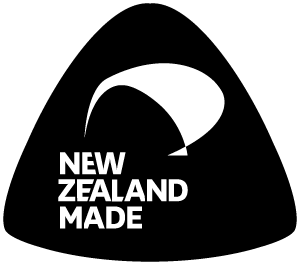 It is not a cream, it is a healing and moisturising ointment made with pure essential oils from New Zealand and the Amazon Rainforest. Made with Kanuka oil – a natural antiseptic & anti-inflammatory, and Copaiba oil – a natural anti-haemorrhagic to help stop bleeding and weeping and to speed up healing. Paw Balm is simple to use put a little in your hand or on your fingers and rub gently onto paws. Allow to absorb. For best results use daily. Dogs love to lick their paws; some dogs can be a bit obsessive when it comes to licking. You can feel confident knowing every last ingredient that goes into WashBar Paw Balm is completely safe – if your dog licks it off, just reapply. Put a little into your hand to warm up and massage into paw pads. Allow to absorb, leaving a light coat for protection – can be used daily. Also great for soothing and repairing any dry or calloused skin. Very safe for pet owners who suffer from allergies or irritations as the ingredients are all natural. 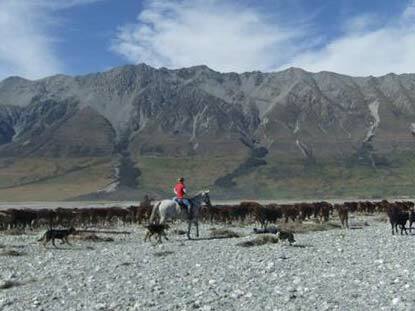 "I am a farm manager mostly in the high country in the South Island where my working dogs spend time running on shingle screes, over riverbeds and walking behind a horse over very rugged terrain. My Huntaway had a very deep cut in her pad that wouldn’t heal up - within a week of using Paw Balm twice a day on her foot the cut was healed and she was back to fully sound and working her hardest. My husband and I expect a lot of from our team of working dogs, (18 dogs) we treat them well and use natural products when possible. We both agree Paw Balm is fantastic stuff. We also use it on Pig dogs who have injuries from hunting, on our heading dogs who have soft feet once a day, just to prevent any foot soreness. The horses love it too and I use it around the corners of their mouths to prevent bit rub and on shoulders to prevent cover rub so they have minimal time with rugs off. I also use another pot of Paw Balm as lip balm for myself!"